How good are you at spotting bad commercial practices in stores, in the press and online? We’ve highlighted ten for you to look out for and make sure your hard-earned cash stays where it should: in your pocket! Stores can limit the number of units at a specific price, as long as it is clearly stated. However what they can’t do is use “bait advertising”. This is when they show a price, don’t limit the units available and know full well they won’t be able to meet expected demand. When buying online, check the T&Cs for the offer. If visiting a store, it might be worthwhile calling before to check. In principle the advertised price is legally binding. When an error is discovered, a store must print a correction (for example in the national press). As consumers we need to look out for errors aimed at attracting people to stores with the hope that they’ll buy something else. If it’s obvious that a mistake has been made, for example a laptop shown as 49€ instead of 490€, if a consumer insists on paying the lower price they can be accused of acting in bad faith to take advantage of a genuine mistake. 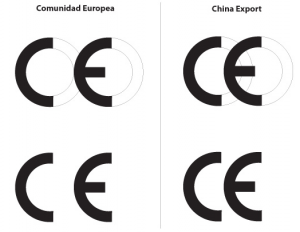 The CE marking indicates conformity with health, safety and environmental protection standards in the EEA. However the China Export label has nothing to do with it and look surprisingly similar. Do you know which eco and bio logos are actually recognised in the EU? Check out this guide and remember that many large supermarkets have their own labelling systems that may, or may not, meet EU standards. Also watch out for products that look similar to well-known brands (use of colours, fonts, similar logos). Theoretically a closing down sale can only be advertised when a store will stop trading at some point in the future. And yet we’ve all seen stores that close down only to reopen a few doors further down the road a month later. These sales are often a tactic to get rid of old stock. Apart from comparing prices, there’s not much more a consumer can do in these cases. Stores that offer any product or service for free (or equivalent) if the consumer then has to pay for a similar concept. For example, online offers of free delivery but then you have to pay to pick up the items. Also look out for prizes that you’ve “won” but then need to pay to claim. Companies cannot state that a special offer is only available during a limited timeframe, or with specific conditions, when it‘s false. These type of offers are often made by phone. 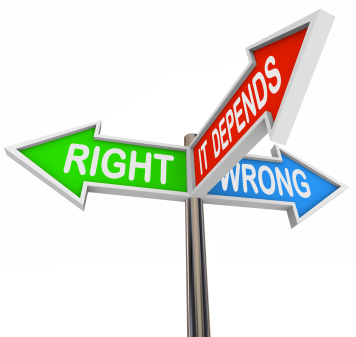 This practice is aimed at getting consumers to make a decision on the spot. If you’re interested, tell them to call back when you’ve considered your options. If a website offers a special advantage of “returns in 15 days”, this is a right that we already enjoy as consumers. Similar “advantages” are sometimes displayed with electronic goods with a “special 2-year guarantee”, which is already included in EU law. Although this year’s new EU data protection law has helped to reduce the amount of spam we receive, it’s still sometimes the case that we don’t realise how our data is being used. Now you should be able to easily unsubscribe from unsolicited newsletters and SMS messages. If a company calls you tell them politely to remove you from their lists. You can always sign up to the Lista Robinson to avoid spam. EU law states that any written media (newspaper, magazine, blog post) or social media post sponsored by a company (to advertise and sell its products) must be clearly indicated by images, words or sound. All too often, however, it’s not really clear. Before going ahead with a purchase based on what you’ve read, make your own investigation. “Tried and tested” products for everything from weight loss to curing allergies, but who’s done the trying and testing? Consumers have the right to know if the claims have been scientifically confirmed. If something isn’t backed up by medicine, it’s usually too good to be true. In these cases not only will you be losing money, you could also be risking your health. Complain!!! See our article on what to do when you spot one of these issues. Yes, complaining takes time and effort and it’s a pain. But the more we let companies get away with their unfair practices the more they’ll do it. And don’t forget to use social media; Facebook and Twitter are great ways to grab a company’s attention, but remember to never share any personal data.